Hello! Stopping by tonight to let you know there is a BRAND NEW release from Simon Says Stamp called Friendly Frolic that is SOOOO incredibly fun! It is jam packed with fun goodies - make sure and check them all out HERE! This beautiful image is part of a fun new stamp set called Plantiful Puns - which is full of tons of fun "punny" sentiments as the name implies, but also some super lovely images! 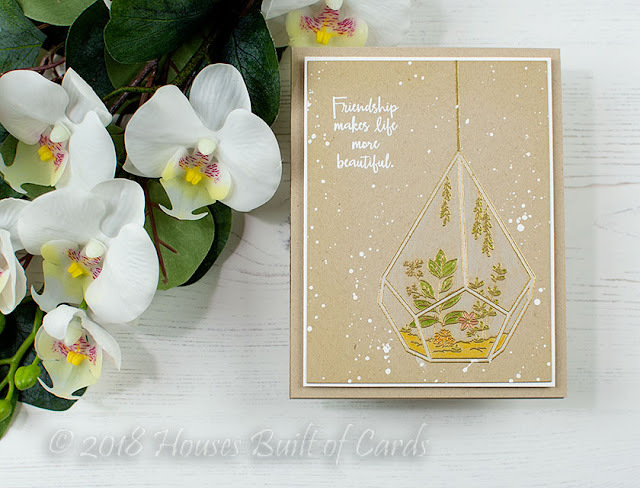 I used a sentiment from another new set, Sketch Lotus Flowers, to create a simple and elegant card. 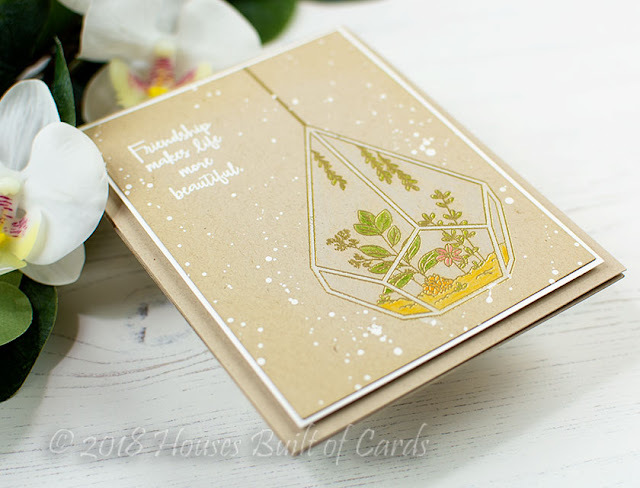 I started off by stamping my image on kraft paper with SSS Barely Beige Ink, then coloring with my Polychromos Pencils. 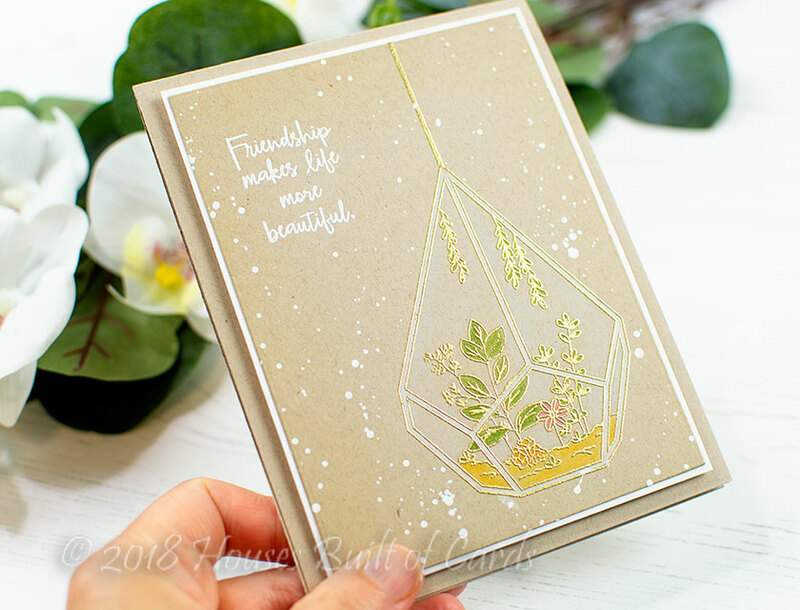 Since I used my MISTI to stamp the image, I was able to restamp over the top and heat emboss in gold once it was colored. 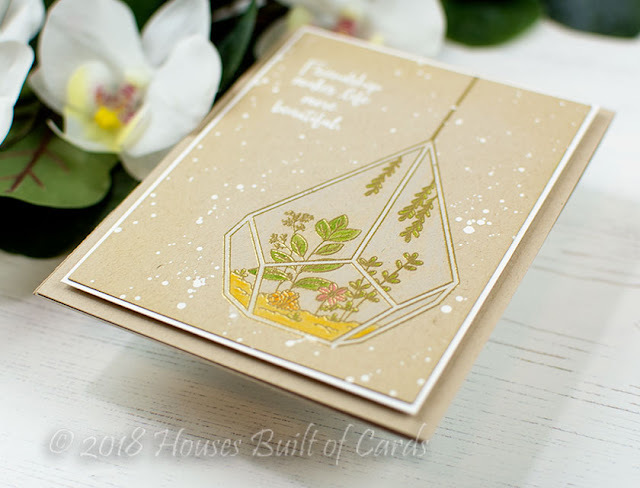 I used a simple embossing pen and a ruler to draw the line going down to my hanging terrarium, and heat embossed that in gold as well.